The lineup for this year’s Black N’Blue Bowl has been announced and can be found below. 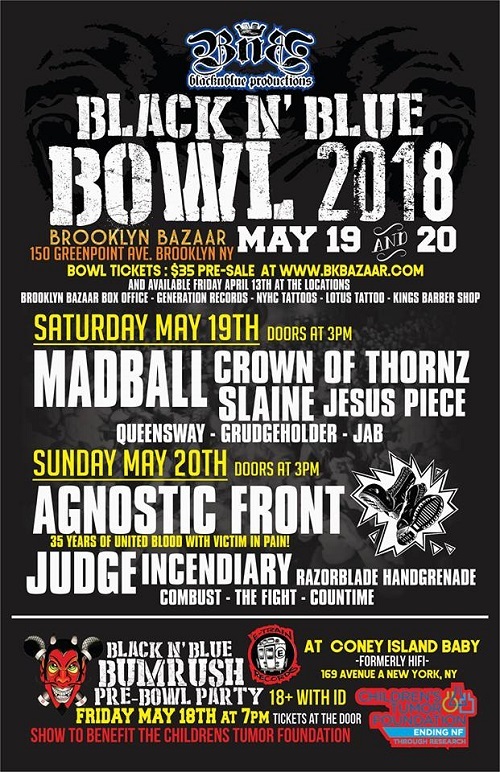 The event is scheduled to be held on Saturday, May 19th and Sunday, May 20th at the Brooklyn Bazaar in Brooklyn, NY. Tickets are available now via BKBazaar.com.